What is more traditional to celebrate Independence Day than a fireworks show? 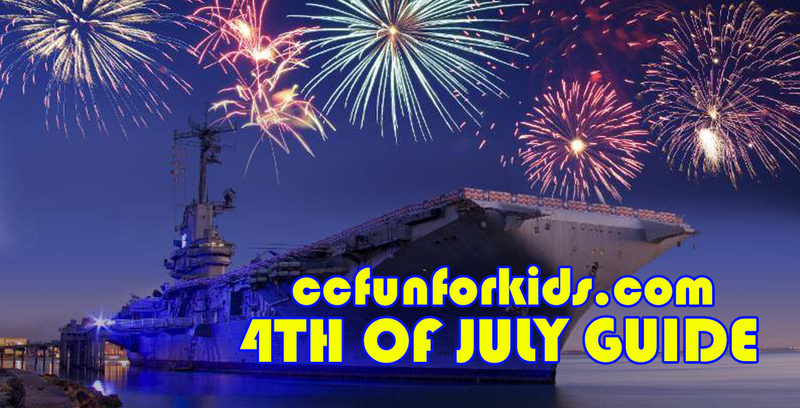 If you are looking for places you can watch 4th of July fireworks in the Corpus Christi area this year you have come to the right place. If we're missing something, let us know. Always check with the organizations for the most updated information or if you have any questions. Also, compiling this information takes work, please credit or link back to Corpus Christi Fun for Kids when sharing. Thank you! Activities, food, and games begin at 6:30 pm at the Little League Park. Fireworks begin at 9:45 pm. All kinds of family fun from 4 to 9 pm. Fireworks estimated to start at 8:45 pm. 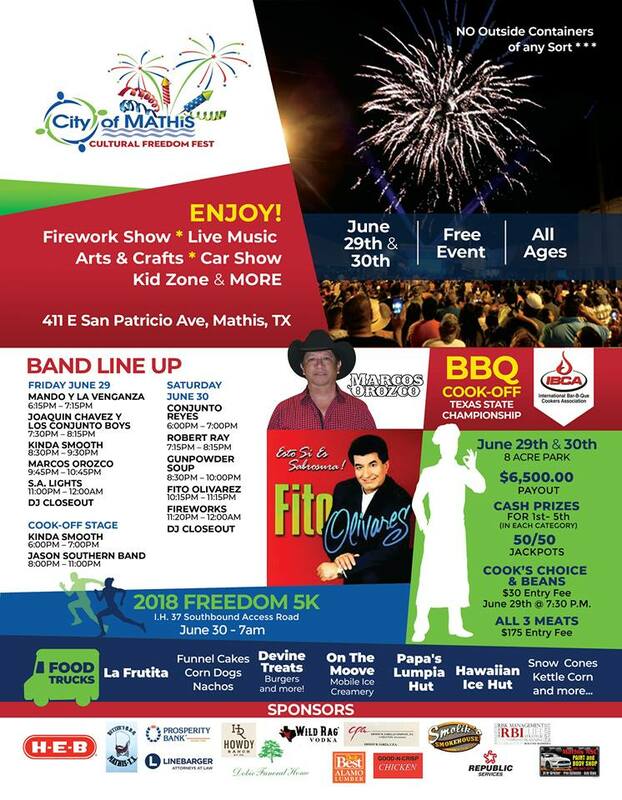 Must have NAS Corpus Christi access to get on base for the event but you should be able to see fireworks from the Flour Bluff area. 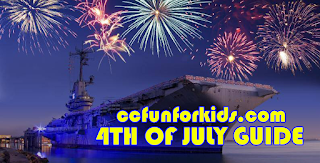 There are also a ton of events going on Fourth of July day including a kids zone. Here's the full schedule of events! The Harbor Bridge Light Show begins at 9 pm. Choreographed to music so tune your radio to the following stations: 92.7FM, 95.5FM and 1440AM. The Mayor’s Big Bang Fireworks Display starts at 9:30 pm. Doors open at 6 pm. Come celebrate Independence Day in style at the Corpus Christi Museum of Science and History! There will be carnival games, prizes, face painting, activities, food, fun, and of course, fireworks. Guests who come and celebrate with us will have special, front row seats to the fireworks show which means no scurrying about trying to find that perfect view for you and your family or sitting in the hot sun for a few hours waiting on the fireworks. Event ends with Fireworks. Cost: Advance ticket prices Members $20, Non-Members $25 available until Wednesday, July 4th at 2:00 pm. Tickets at the door Members $25, Non-Members $30 dependent on availability. 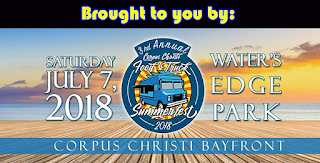 To purchase tickets, call the museum at 361-826-4667. The fireworks are usually launched around 8:30 or 9 pm. You can pretty much see them from anywhere on North Padre island. 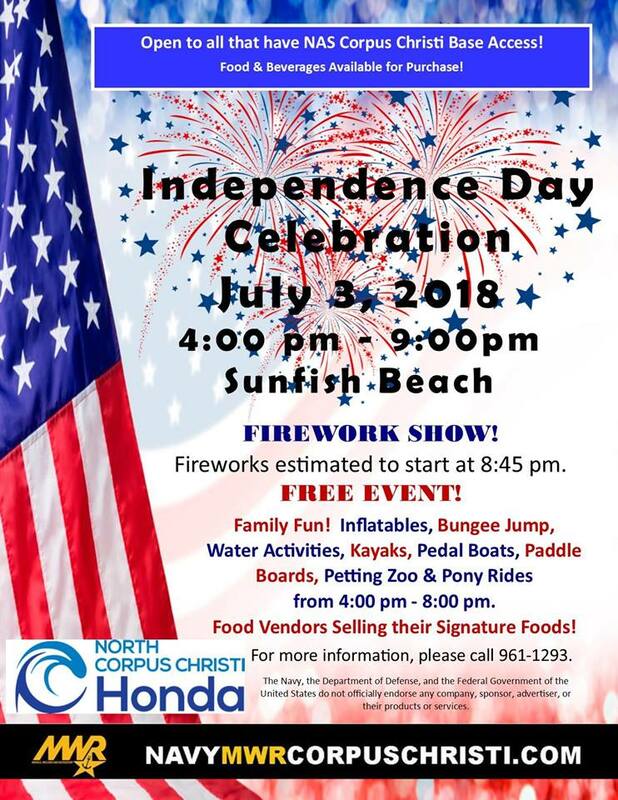 You can also view the North Padre Island fireworks perfectly from Schlitterbahn Riverpark and Resort Corpus Christi at the Red, White and Blues Festival. 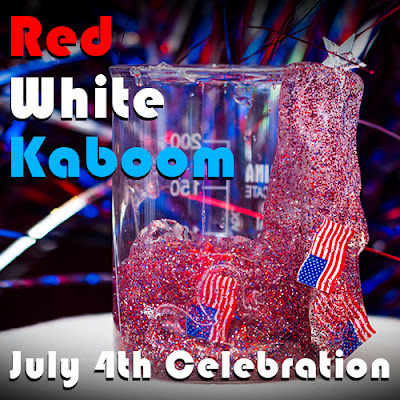 There will be a fireworks display viewing party beginning at 8:30 pm on the 4th floor. 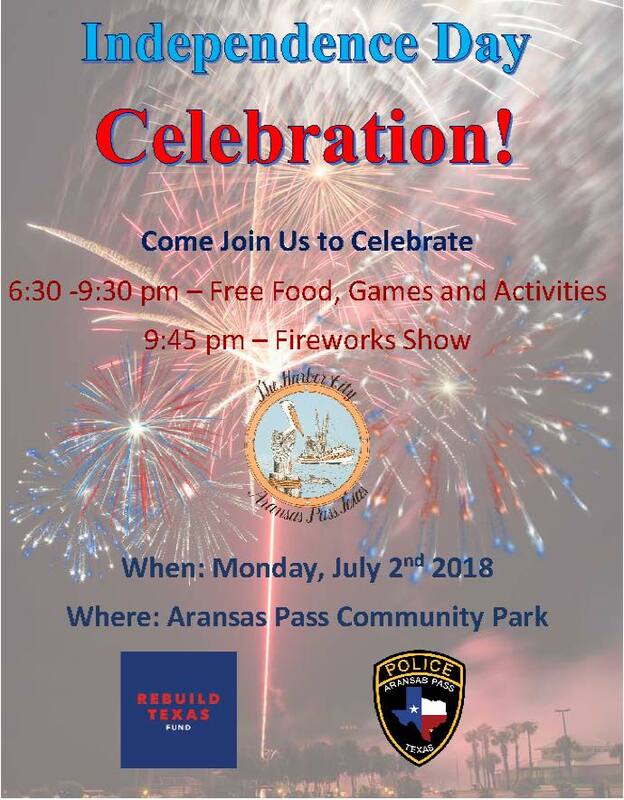 Port Aransas hosts one of biggest fireworks displays in Texas. The big firework display usually start at dark over the ship channel. Show usually lasts about 45 minutes and can be viewed from just about anywhere in town. Show starts around 9:30 pm. Make sure to follow their Facebook page for updates.